Wayne Monteith, the Federal Aviation Administration’s new associate administrator for commercial space transportation, said during the Commercial Space Transportation Conference that the government shutdown impacted the release of proposed legislation, Space News reported Wednesday. Monteith noted that the five-week shutdown delayed the release of proposed rules on licensing commercial launch and re-entry activities, including launches from multiple locations. The Federal Aviation Administration aims to discuss and release new regulations and spaceport categories by end of 2018 or early next year, to speed up approval for space launches and allow more facilities to accommodate space operations in the U.S., Politico reported Friday. 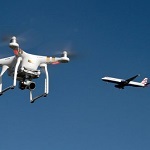 The Department of Transportation’s inspector general has announced that it will conduct an audit of the Federal Aviation Administration’s role in authorizing operations of small unmanned aircraft systems in U.S. airspace. Private aviation companies expect the Federal Aviation Administration to use its upcoming events to provide updates on its revisions to commercial launch rules, Space News reported Sunday. Kirstjen Nielsen, secretary of Homeland Security, said in a statement that the recently passed FAA Reauthorization Act of 2018 would increase the government's capacity to protect U.S. citizens from drone-induced threats. She highlighted that existing regulations constrained the Department of Homeland Security's jurisdiction to address drone threats prior to the bill's passing, the DHS said Thursday. The Federal Aviation Administration will launch an assessment of space-based aircraft surveillance over oceanic routes in 2019, Aviation Week reported Tuesday. The phased evaluation will include the use of Aireon’s automatic dependent surveillance-broadcast system that is set to enter service in 2019 once Iridium Communications launches the last batch of Iridium NEXT satellites this year.